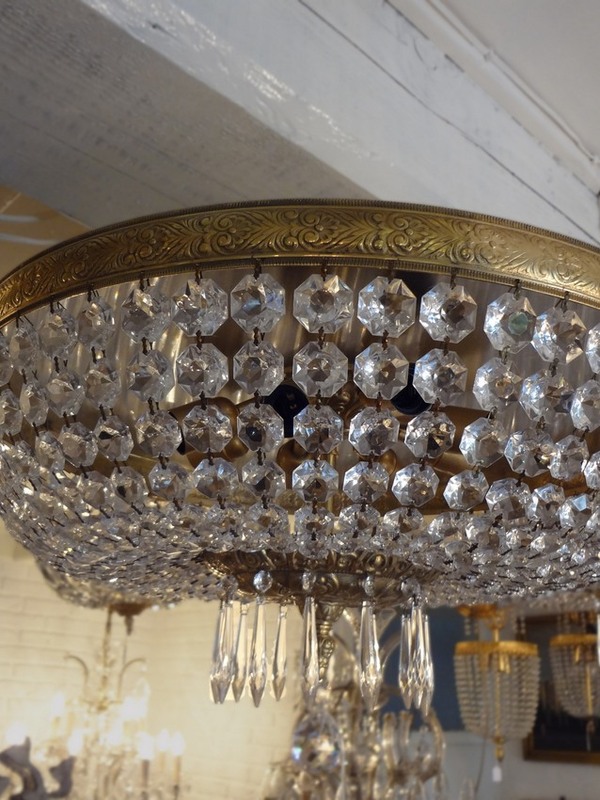 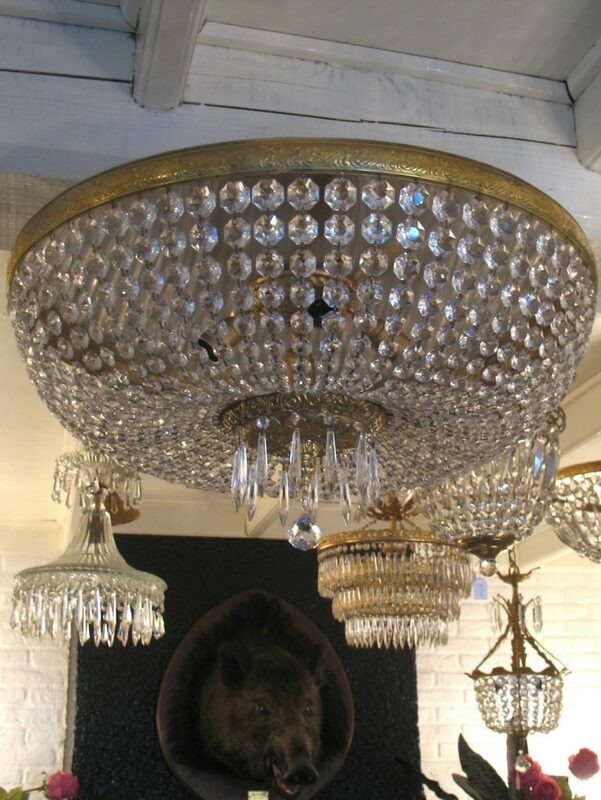 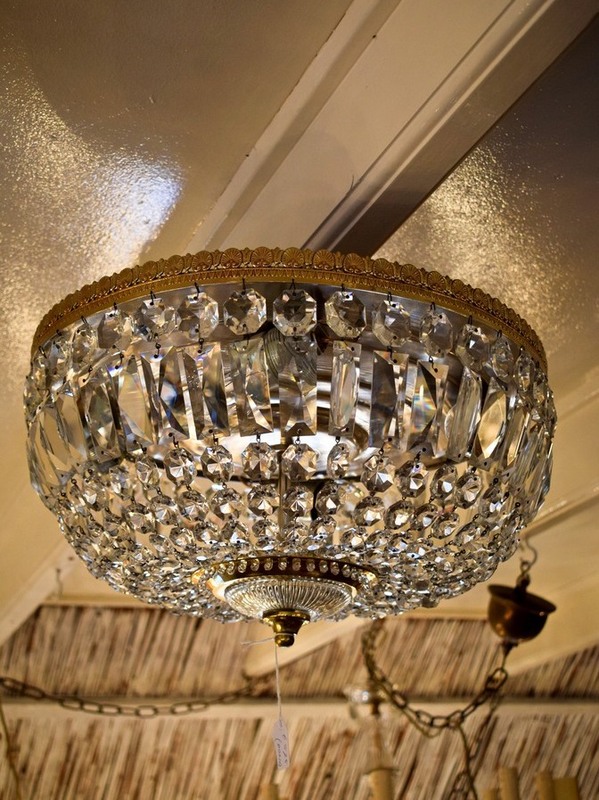 Below you will find a selection of the crystal ceiling lamps available at Kroonluchteratelier De Rode Hoeve. 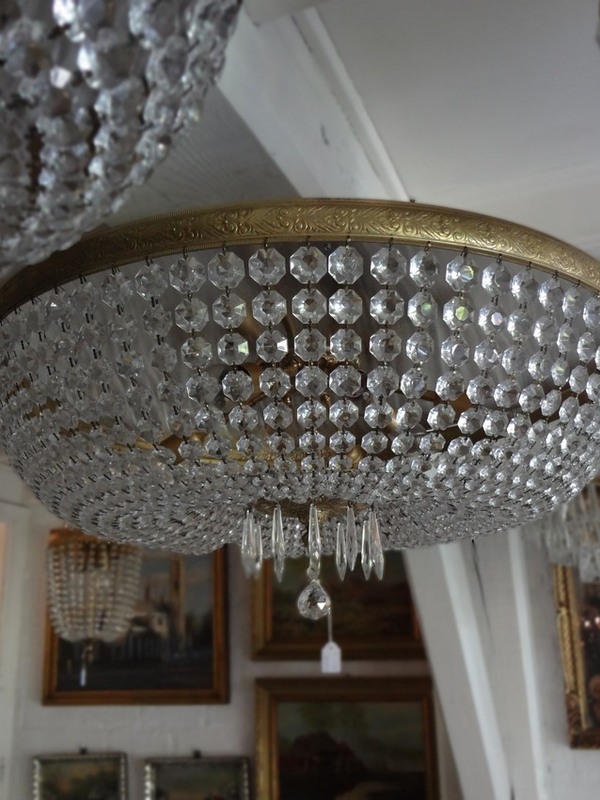 Among many old and antique ceiling lamps there is also a magnificent collection of new ceiling lamps available at Kroonluchteratelier De Rode Hoeve. 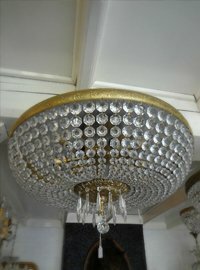 To view them all you are welcome to pay us a visit at our location in Oldebroek (centre of Holland) and in the near future at our location in the south of the Netherlands (nearby Maastricht). 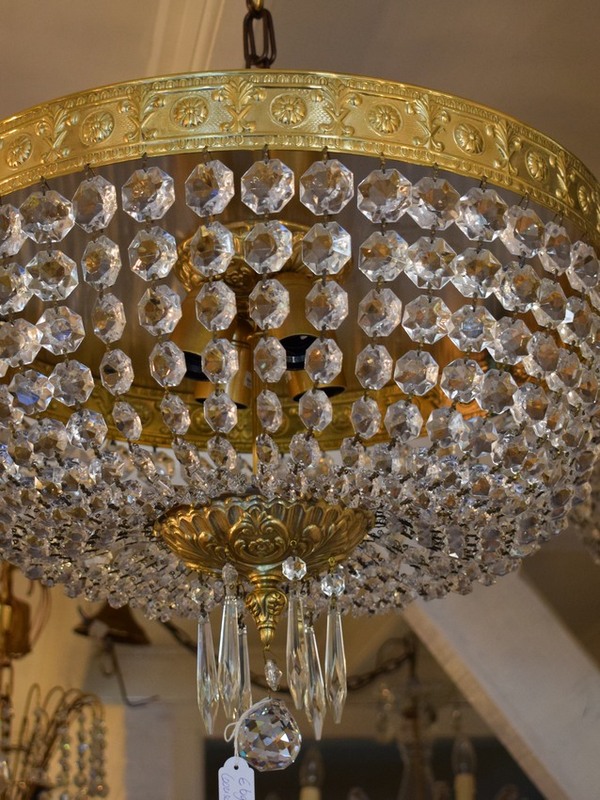 We will kindly inform and advise you about all the possibilities. 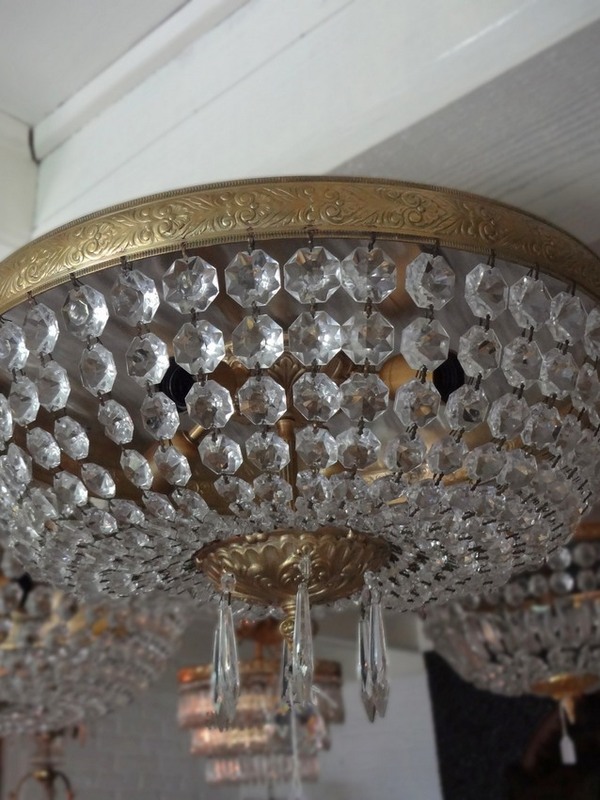 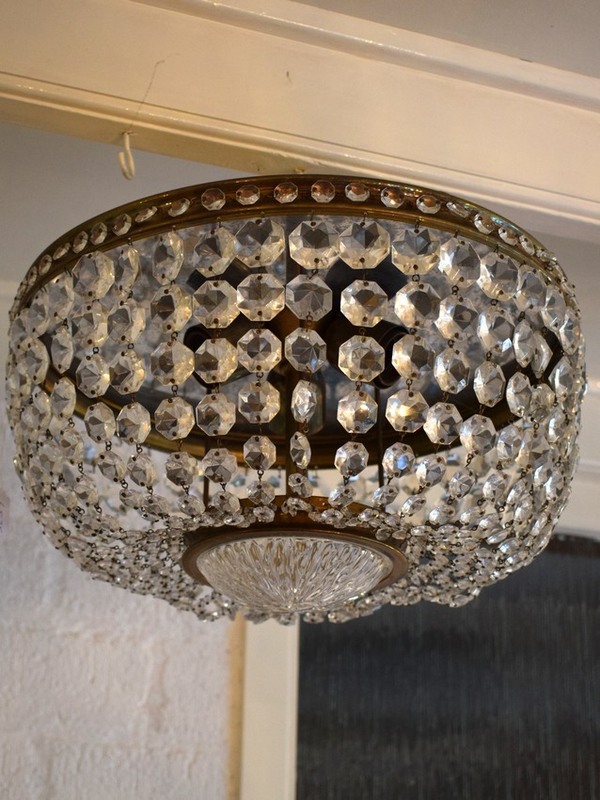 A crystal ceiling chandelier is a flat lamp that usually is placed directly on the ceiling. 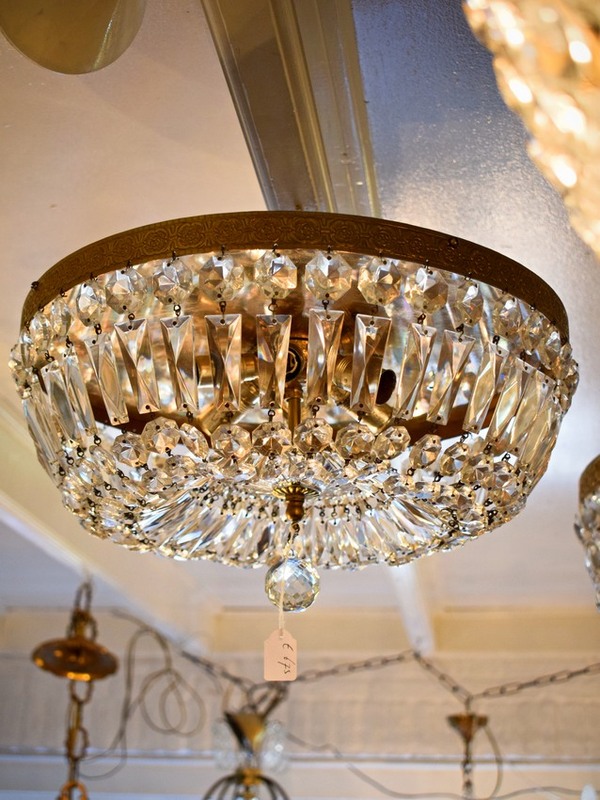 Crystal ceiling lamps are often used in rooms with a low ceiling where it should be possible to walk underneath the lamp. 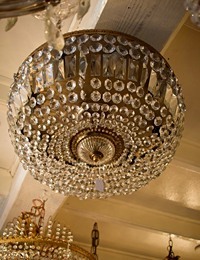 If the ceiling is higher it is also possible to lower the ceiling lamp with a chain.